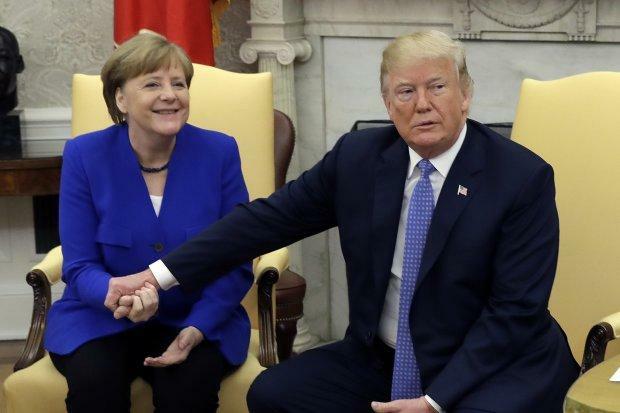 Trump Attacks Merkel: "The People Of Germany Are Turning Against Their Leadership"
Moments after Angela Merkel received a 2-week ultimatum to resolve Germany's increasingly contentious refugee issue which could culminate with Merkel resignation, Donald Trump decided to capitalize on Merkel's misfortune, and in a tweet claimed that "the people of Germany are turning against their leadership as migration is rocking the already tenuous Berlin coalition. Crime in Germany is way up. Big mistake made all over Europe in allowing millions of people in who have so strongly and violently changed their culture!" Trump, who is currently on the receiving end of a full court media press for his decision to separate migrant children from their parents at the border, which is what the "Russian collusion" attack narrative has pivoted to in the aftermath of the humiliating for the FBI OIG report, then took it up a notch and said that "we don’t want what is happening with immigration in Europe to happen with us!" Additionally, Trump lashed out at border immigration policy critics, tweeting that "Children are being used by some of the worst criminals on earth as a means to enter our country. Has anyone been looking at the Crime taking place south of the border. It is historic, with some countries the most dangerous places in the world. Not going to happen in the U.S."
He also blamed democrats again, urging them to change the laws: "it is the Democrats fault for being weak and ineffective with Boarder Security and Crime. Tell them to start thinking about the people devastated by Crime coming from illegal immigration. Change the laws!" As we reported earlier, CSU hardliners in Merkel's conservative bloc on Monday gave her a two-week ultimatum to tighten asylum rules or risk pitching Germany into a political crisis that would also rattle Europe. Interior Minister Horst Seehofer's CSU party at a meeting unanimously backed his call to give Merkel a fortnight to find a European deal on the burning issue by a June 28th-29th EU summit, failing which he would order border police to turn back migrants. As The Local noted previously, Merkel now faces the challenge of persuading EU governments to sign up to a common plan on the migrants. Central and eastern EU nations such as Hungary and Poland have either refused outright or resisted taking in refugees under an EU quota system. A populist-far right government in Italy and the conservative-far right cabinet in neighbouring Austria have also taken an uncompromising stance. Merkel's talks later Monday with Italian Prime Minister Giuseppe Conte in Germany could prove crucial if she is to have any chance of forging an agreement in Brussels. On Tuesday, she will also meet French President Emmanuel Macron in Germany. Berlin is also reportedly preparing to call a meeting between Merkel and the leaders of several EU frontline nations in the migrant crisis ahead of the EU summit. "It would be almost a miracle if she emerges a winner from the next EU summit," Welt daily said. But the chancellor may have no choice, as Seehofer could still launch the nuclear option of shutting Germany's borders in defiance of her - an act of rebellion which would force her to sack him. That "would be the end of the government and the alliance between CDU and CSU," a CDU source told Bild.